Customer experiences with Australian and New Zealand brands are getting worse, not better, if a new report is to be believed. A new study undertaken by Ovum and sponsored by BoldChat by LogMeIn claims customer experience has worsened over the last two years, despite investments into new engagement channels. The report was based on a survey of contact centre managers and consumers globally including A/NZ. For a start, there was a discrepancy between what resolution looks like. Consumers surveyed said they believed it takes six different interactions to resolve an issue, while surveyed contact centre managers believe it only takes one to two touchpoints. According to the report authors, the disconnect could be attributed to the fact that 72 per cent of consumers surveyed search for information online before contacting an agent, yet 52 per cent of contact centre managers are not tracking digital behaviour. In A/NZ, 60 per cent of consumers reported using at least five channels for support, and 46 per cent said access to agents had worsened over the last two years. Half of all consumers surveyed also expressed frustration with automated response systems. The top two priorities for A/NZ customers is for organisations to improve access to Web support channels such as social media, communities and live chat (52 per cent), followed by faster agent response times (51 per cent). In addition, two-thirds of participating consumers said phone calls provide the most success for resolution, but 77 per cent would choose a channel other than voice if they believed they could get a resolution on the first attempt. There was also a clear indication of the impact of digital on customer service in the report. Use of live chat, for example, had increased from 35 per cent in 2014, the last time the report was conducted, to 43 per cent in 2016. The report also found 56 per cent of consumers are calling from a smartphone, and 83 per cent of those surveyed said they use mobile apps for customer support, while 67 per cent use mobile websites. The implications of poor customer experience were also clear. In A/NZ, 90 per cent of the consumers surveyed said they will stop doing business with a company following a bad experience, a much higher result than the 82 per cent average globally. 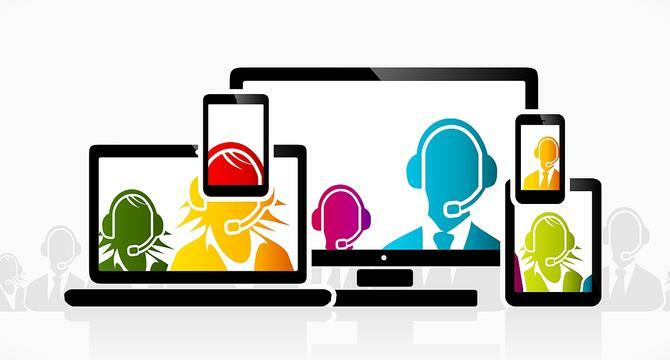 “The disparity between the perception of contact centres and the reality of consumers when it comes to customer experience is worrisome as every interaction is proving to be critical to customer retention,” commented principal analyst for customer engagement, Ken Landoline. The report was based on a survey of 300 contact centre managers and 400 customers. Vice-president of customer engagement and support solutions at LogMeIn, David Campbell, said the onus is on brands to provide fast, efficient and frictionless services. The challenge is most contact centres struggle to meet these expectations because they are limited by disjointed, legacy systems. “We see many forward-thinking businesses overcome these challenges by prioritising investments in solutions that unify their engagement strategies across traditional and digital channels,” he added.